And if you didn't know that the NHL All-Star Game was this weekend, now you know. 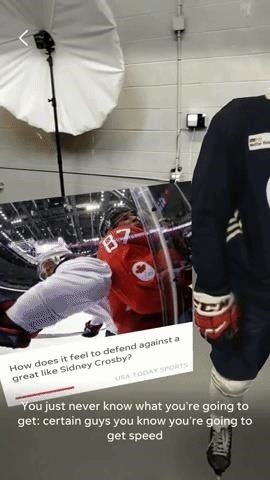 But, either way, you can now check out the news company's app on iOS or Android via ARKit or ARCore-compatible devices to learn why USA Today singled out Carlson for its first AR story in its widely read Sports section. As one the top defensemen in the game last season, Carlson is heading to his first All-Star Game. 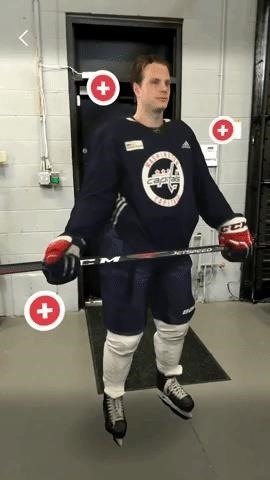 The Capitals also won the Stanley Cup in 2018, and, over the summer, Carlson inked a contract extension worth $64 million over eight years. Those are just a couple of details you can discover when firing up the AR experience. 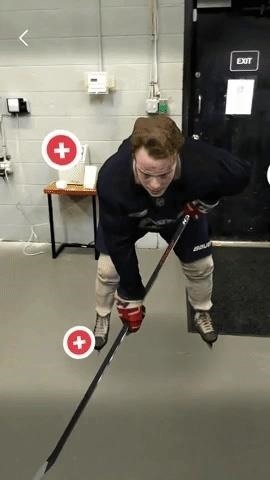 After readers perform the customary scan for horizontal surfaces and anchor the 3D content onto their personal space, a voiceover (along with closed captioning) begins telling the story with the Washington Capitals logo floating in the camera view. Then, a scanned model of Carlson appears, along with three hot spots marked by plus signs. Tapping each button launches an interview snippet with Carlson, along with a photo card denoting the question. In total, the experience displays Carlson in three different poses, each accompanied with a trio of audio clips. In general, USA Today takes a slightly different approach to AR reporting compared to The New York Times, which was prolific with its more-than-monthly pace of publishing AR stories in its first year of the practice. 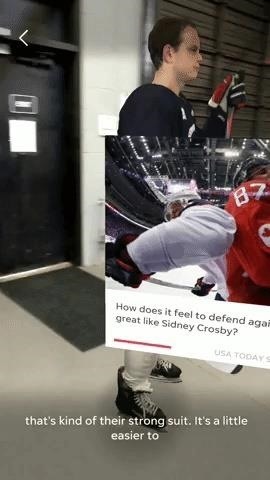 While the Times runs traditional news stories with AR content embedded within the text as if they were photos or video, USA Today tells the entirety of its story within the AR experience. However, USA Today's emerging technology team produced the feature within one week, signaling that it may be ready to churn out stories at greater volume than its competition. "This is going to be a very exciting year for our team and our audience," said Ray Soto, director of emerging technology, in a statement. "We have set an ambitious goal for the number of interactive experiences to produce this year, and across different content verticals, and look forward to bringing our audiences more immersive and interactive stories through the year." Between traditional print-turned-digital news outlets like The New York Times and USA Today, magazines like Time and Sports Illustrated, and the TV broadcasts of The Weather Channel and the NBA, the media industry has adopted augmented reality with enthusiasm. The technology will even make its way into the Super Bowl broadcast on Feb. 3. In coming months, readers and viewers can expect even more AR to filter into their news and entertainment content, particularly as outlets like the USA Today ramp up their production capacity.